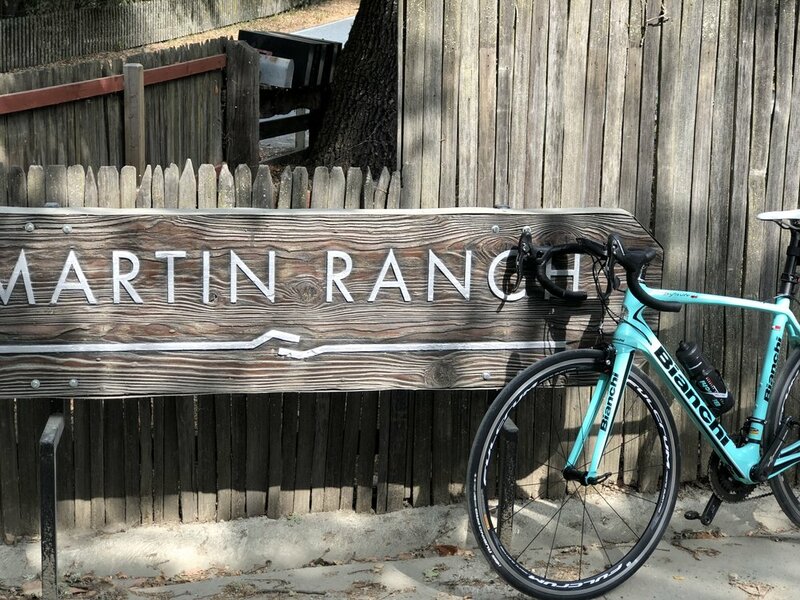 Winemaker Thérèse Martin has teamed up with Wine Club member and friend Dr. Gina Bianchi, an ambassador for Bianchi Bikes, to host our first ever Women's Redwood Retreat Ride. This 15-mile ride is just around the corner, so this week we caught up with Dr. Bianchi to learn a bit more about what it is that motivates her to get on the bike! Q: Can you share a little bit about yourself? How did you get into cycling? A: Over a decade ago I was going to the gym and running. I went to a meeting to support friends starting a triathlon club...it sounded interesting. I joined, started training, and of the three sports, I found the bike to be my very favorite. I still find myself smiling when I’m rolling out my wheels. Q: What tips or advice do you have for someone who is looking to get started cycling? What about someone looking to get back on their bike after a brief hiatus? Q: You've been cycling for a while now. Are there any favorite memories you'd like to share with us, maybe of a particular ride? Any rides that are on your bucket list? A: I recently had the opportunity to ride with the Dama (women) Bianchi Ambassadors in Vermont. It was gorgeous, inspiring, and hilly! I would love to ride all the big rides in our neck of the woods- Mount Hamilton, Mount Diablo, etc. Next year I want to participate in the MS ride, Waves to Wine. Q: You're headed on a ride. What are 3 things you never leave home without? Q: Gina, you reached out to our winemaker, Thérèse Martin about an upcoming ride to benefit MS. Can you share a little bit about the ride, and why the cause is so special to you? A: I would like to push myself. I want to complete the longest distances they offer. I have friends and patients that suffer from MS. Some can no longer ride their bike or their horse, some can no longer walk without assistance. I’m lucky because I can. I’m not the fastest, I’m not the strongest, but I can. I will cover every single inch and turn my pedals, because I CAN! A: I would love it if you would join me. This is me throwing you a rope, asking you if you once did, or always wanted to, or if your passion never faded for riding a bike. Grab your helmet, hop on your bike, and let's get pedaling! If you're a Wine Club member who is interested in our first ever Women's Redwood Retreat Ride, please give our winery office a call at (408) 842-9197. There's no cost to join us, we just want to have an idea of who all is coming!